Why didn't the "classy" Yankee brass show a Robinson Cano tribute video? Not only were too many Yankee fans classless and petty and ungrateful when they booed Robinson Cano so vociferiously last night, but the Yankee front office didn't exactly cover themselves in glory either. Unlike when Jacoby Ellsbury returned to Boston and received a nice video tribute, the Yankees chose not to do the same last night for Cano. According to David Lennon of Newsday, "a team spokesman declined to say why that decision was made." And Andrew Marchand of ESPN New York said that according to a team official, "The Yankees feel they have not done video tributes in the past when players like David Cone, Tino Martinez, Jason Giambi or David Wells have returned," so they decided not to do one here as well. However, the Yankee brass had to realize that 1) none of those players were ever the caliber of Cano, and 2) there is the fact that Ellsbury just got that nice Red Sox tribute, which did get help him some cheers at Fenway. At any rate, for a franchise that prides itself on class, and tradition, and doing the right things, not doing a Cano video comes across as pretty small-minded and petty. And it only makes Boston, a franchise which has a sordid history of trashing players on their way out the door, look good in comparison. Sheesh. And I am not the only one to notice this. CC Sabathia was asked last night why Cano got so many more boos than Ellsbury did. He said, regarding the Red Sox, "They showed a video." Yep. Not that Cano would have gotten 100% cheers during that, but it would have at least showed that the team, which talks so much about pride, and tradition, and Yankee history, would have some sense to acknowledge their best player over the last half-decade, and arguably their best second baseman ever. And it would have given the non-knuckleheaded Yankee fans an opportunity to cheer, too. 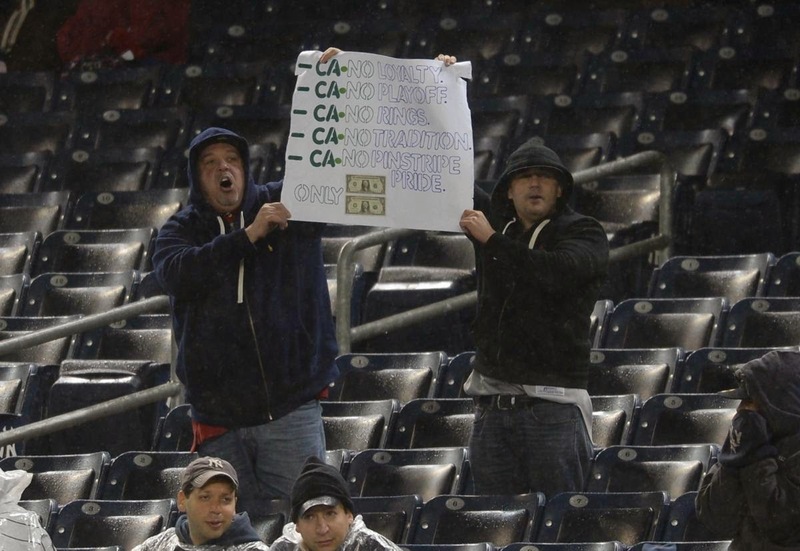 I saw this picture of fans holding up this idiotic sign at the game on the Daily News' website. Sorry, Yankee fans, but we should be better than the pathetic taping of dollar bills to signs -- leave that to the fans of the smaller-market franchises, not to those of the one with the $200+ million payroll. And last time I checked, Cano did actually help the Yankees to both the playoffs, and to a World Series ring. Also, for those who throw out words like "tradition" and "loyalty" and "pinstripe pride," they ought to at least acknowledge Cano for his great play as a Yankee. Finally, look at all of those empty seats! Joel Sherman, a frequent target of this blog, actually had a terrific column in today's New York Post slamming the boobirds. He writes: "I almost never comment on fan behavior, unless it is dangerous. But this reaction was so particularly mob-mentality dumb it is hard to ignore." Sherman points out that the Stadium has been so quiet over the years, but finally erupted loudly over booing Cano. The 10,000 or so folks who endured the bad weather sounded like four or five times that much with their animus drowning out the few who were trying to offer applause and thanks for the memories. It was as loud as the Stadium has been all year, louder than some playoff games of the recent past. You know [Cano] had committed the unpardonable sin of being the Yankees’ best player (by far) for about the past half decade, never was involved in off-field trouble and was well-regarded by his teammates. That horrible, horrible man. I really can’t separate who is the bigger public nuisance, Cano or Donald Sterling. Anyhow, the article is definitely worth reading in full. I agree with pretty much every word Sherman writes here! As it turns out, I am glad I chose not to brave the cold at Yankee Stadium tonight, as I would have gotten into multiple arguments with some of the many morons at the game. You know, the kind of people who booed Robinson Cano in his return (in the loudest crowd noise I have heard from the Stadium all year! ), and who had the gall to chant "you sold out" about a player signing for more money. Yes, they went there. how lacking in self-awareness do you have to be as a YANKEE fan to complain about a player "selling out"? If you root for the Houston Astros, you get to make that complaint. The New York Yankees, not so much. Let's review, folks. The game tonight was in a billion-plus-dollar stadium, where fans sat in seats costing as much as $1600 a ticket for just one game, and paid up to $40 just to park their car for three hours. The ballpark keeps out the riff-raff (those who "only" paid in double digits or the low triple digits for tickets) with a moat from being able to even look at the game at field level during batting practice. CC Sabathia, who signed the highest free agent pitcher contract ever at the time to become a Yankee, was on the mound. Brian McCann, who left his hometown Atlanta Braves to make more money as a Yankee, was catching. Mark Teixeira, who signed with the Yankees over the Red Sox for more money, was at first base. Masahiro Tanaka, who left his country to make more money with the Yankees, was watching the game in the dugout. Carlos Beltran, who signed as free agent with the Yanks for more money, was in right field. Oh, and Jacoby Ellsbury, who left the Red Sox for the Yankees' money, was also watching the game in the dugout after getting hurt. You get the picture. So given that background, why are we, according to some knuckleheaded fellow Yankee fans out there, supposed to be soooo angry with Cano for expecting to actually be paid his market value, after he was paid below market value by the team for his entire career? Why, exactly, was he supposed to take $75 million or so less than he was worth? So Hal Steinbrenner could buy another private plane? So Lonn Trost can upgrade his limo ride? So Randy Levine can get a raise? So Brian Cashman can engage in even more reckless hobbies? Newsflash, folks. Baseball is a business. Cano is the best second baseman in baseball, and one of the top players in the game. He had his chance at a big payday, and he took it. Nothing wrong with that. He made a business decision, and so did the Yankees. They decided that Cano was worth only slightly more than what they paid Ellsbury. 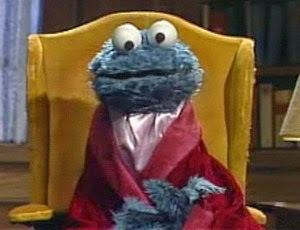 In fact, one could argue that the Yankees were greedy in not wanting to pay Cano what he was worth. But let's suppose you think Cano wasn't worth the money. That's fine. Then why the bleep are you so ticked off that he went elsewhere? Sorry, folks, but here's the thing: Yankee fans don't really have the right to complain about free agency, or about players choosing the highest bidder over the team that originally signed them, or to complain that a player taking a big free agent contract is a sellout. That ship sailed nearly 40 years ago when Catfish Hunter, and then Reggie Jackson, put on pinstripes, the first of many, many free agent signings over the years. The Yankees have benefited from having the ability to spend. That is fine. But let's stop pretending that every player to put on the pinstripes did it just because he wanted to play ball in the Bronx. Money played a huge part in their decisions, too. And to complain about Cano being a sellout just makes our fanbase look hypocritical and just plain dumb. Not to mention that you have to wonder how many Yankee fans became Yankee fans precisely because of the team spending money on free agents, and winning with them. If these Bleacher Creatures and the other purists booing Cano for going after money are such purists, one wonders why they don't root for, say, the New York Mets. The Mets, after all, have spent much of their money on ill-fated Ponzi schemes, and not on actual players. Most of their players are homegrown and their ticket prices are extremely reasonable, too -- Squawker Jon, my brother, and I had field-level box seats at a Sunday Mets game last week for under $20 each! Anyhow, the Bleacher Creatures, self-appointed arbiters of Yankee fandom, didn't speak for all Yankee fans when they engaged in their homophobic chants in the ballpark for so many years. And they, and the other Yankee fans who chose to boo Cano tonight, certainly don't speak for me now. Grow up already. I am still debating whether I should go to see Robinson Cano return to Yankee Stadium tonight, but I am worried I will get into arguments with booing Yankee fans! Sorry, folks, there is no reason to hate Cano. Depending upon whatever final Yankee salary offer you believe, Cano was offered at least $70+ million more by the Mariners -- not exactly chump change. If Yankee fans are going to complain about players going for the money, then they must have to hate pretty much every free agent the Yankees have signed, because nearly all of them got their best contract offer from the Bombers. The Yanks would literally have a last-place team if it weren't for this "greed"! Anyhow, I cannot blame Cano one bit for taking the Mariners' offer. And I never get why fans who didn't want Cano to go are not more ticked off at the Yankees. Hal Steinbrenner and Brian Cashman spent over $500 million this offseason, but they pled poverty when it came to paying Cano market rate? Puh-lease. If they had $153 million for Jacoby Ellsbury, who had exactly one elite year, they could have ponied up the money to keep Cano, who not only had over a half-dozen elite years, but he stayed healthy and played nearly every game. If you want to boo anybody, boo the Yankee brass for not keeping Cano. At any rate, I think for at least the first at-bat, you should cheer a former star for what they did for your old team (only exception for this would be for a Carl Pavano, who did nothing but collect a paycheck for the Yankees!) And I think Cano absolutely should be cheered tonight, which he will be, by some sensible Yankee fans. However, I am fairly sure that the booers griping about "greed" will outnumber the cheerers. The thing is, though, is that if any of these vociferious booers actually met Cano in person, they would probably be all excited and shake his hand. Which is exactly what happened in a stunt on Jimmy Fallon's Tonight Show. Hilarious! As longtime Squawker readers know, I opposed trading for Michael Pineda from Day One. And even though, two years later, it turns out that Jesus Montero hasn't turned out as planned, I still have some real doubts about Pineda. Sure, he has pitched well this season. But he also has some strange addiction to pine tar, something that maybe could be featured on that TLC show. How self-destructive do you have to be to 1) lie the first time you are caught with pine tar, claiming it was "dirt," and 2) when you have to know the Red Sox are watching your every move, go put the pine tar on again in the second inning against your team's toughest rivals. And 3) do it so blatantly, too -- how is it I could see from watching the TV at the gym that he had pine tar on his neck, but apparently Joe Girardi didn't (or didn't care)? After all, baseball isn't just about having strong skills; it is about being mentally strong. And about keeping your team in the game. And while I did actually feel a little sorry for Pineda after the game, when he seemed overwhelmed by the crush of reporters, I don't ultimately have a heck of a lot of sympathy for him. 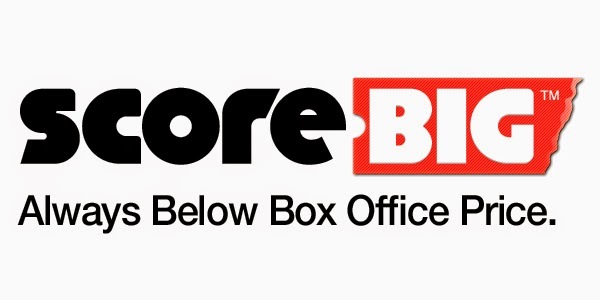 Here's the thing that most concerns me. I have no idea whether the pine tar somehow actually does something to make Pineda pitch better this year. But I think he thinks it does. So after he got rocked in the first inning, he went back to it. And that addiction to it should be very concerning to those in Yankeeland. 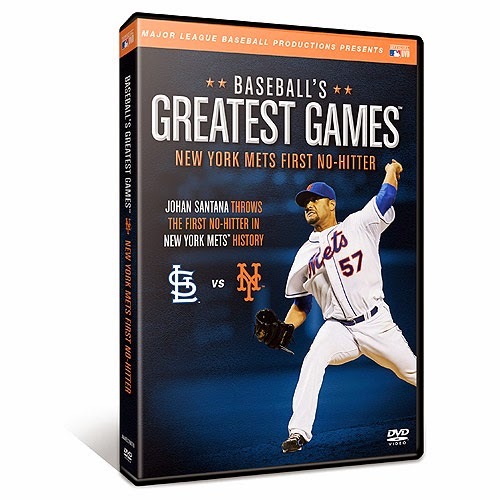 In conjunction with the digital download sale on iTunes of nearly 100 great programs from Major League Baseball, Subway Squawkers is giving away three copies of Baseball's Greatest Games: New York Mets First No-Hitter DVD. ALL UNDER $10, AVAILABLE NOW ON iTUNES! To win a copy, please send an email with your name and mailing address and METS DVD CONTEST in the subject line to subwaysquawkers@gmail.com. Three winners will be chosen at random. Contest is open to residents of the continental United States. Contest runs until Tuesday, April 15 at 11 p.m Eastern Daylight Savings Time.